This level has medium difficulty. For this level try to play from top part of the board where more candies are available to play. 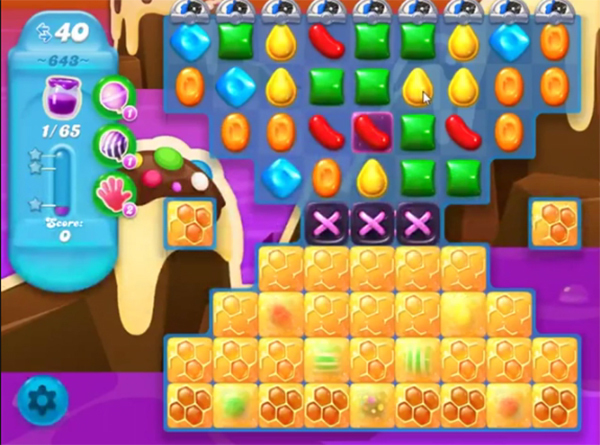 Make striped candy and combine with other special candy to break more blockers and spread the Jam. Or play near to Jam to spread it to near candies. This level should be rated as a hard level because it is impossible to pass. Tired of wasting my time on candy crush soda it’s time to move on to games that are fun.